Are you in Line with Stripes for Spring? Two years ago I purchased a pair of high-waist wide-legged Joe's trouser jeans. When I tried them on I immediately felt as though I was channeling my mom in the 70's, sans the big glasses and Afro she wore of course. So I bought and loved them. They became a staple in my closet for those days when I wanted to wear jeans but still maintain a polished image. Two years later my wide-legged trousers still remain a staple in my closet. They have become a great denim investment. And of course I knew they would work perfectly with today's 70's inspired trend. So much so that I wore them during fashion week for a full day of running around to events. 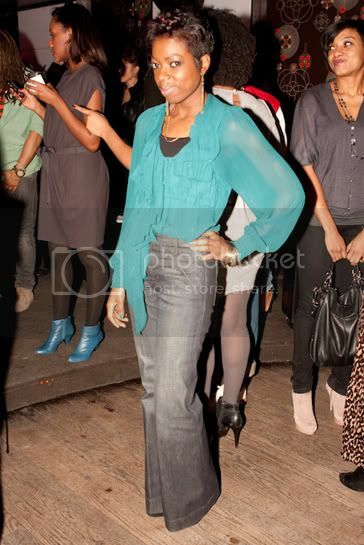 Check out more pics taken by Essence.com for the Black Style Bloggers Tweet-Up at the CV Lounge here. Now I'm on the search for a pair with a lighter wash that will be perfect for spring. Here are a few pairs that might work for me. Looking good girl. I love trouser jeans, especially with a high waist. So chic! 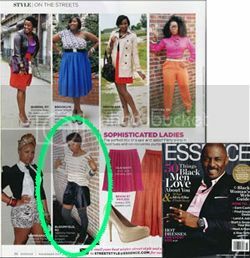 LOVE those jeans and that's weird I was just looking at those pics on Essence.com the other day and loved your look. Is that not weird??? Love, love love the jeans! 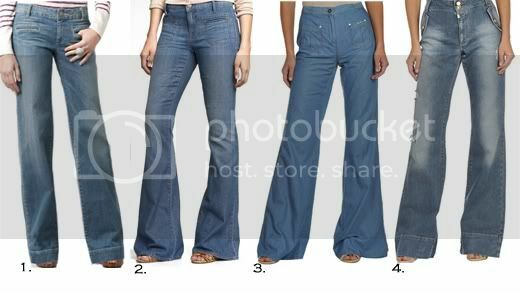 I need a pair of flare jeans asap. And the turqoise blouse is too cute.